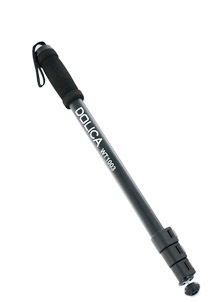 Get the best monopod for under 50 dollars! If you're like a lot of other semi-serious photographers you realize the virtues of using a monopod, but wouldn't use one enough to justify spending $400 for a Gitzo. There are simply too many better choices. If you have a simple point and shoot camera, there is simply no need to spend more than $50 on a monopod. you're wasting your money. Point and shoots are nice and light and don't need the support of a heavy duty monopod of to get crystal sharp photos and videos. DSLR users are a different story. You can find the best monopod for under $50 too. Definitely true if you're not shooting with a big lens or a full frame pro DSLR. If you're sporting a big long powerful zoom lens to shoot wildlife or sports, and you don't need a special monopod head, you can find an affordable monopod. 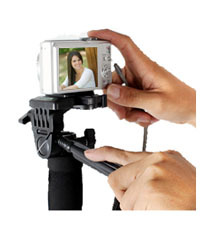 The monopod head is the all-important link between the pole and your camera. I think weight capacity ratings are practically worthless when doing comparisons. There is no standard way to measure capacity. 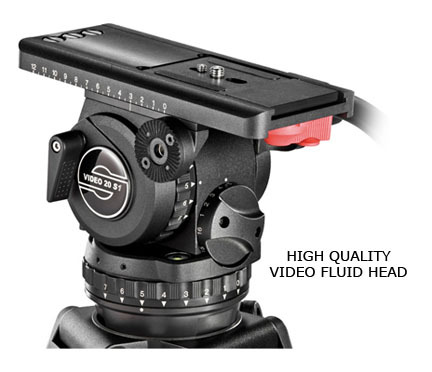 The capacity number is stated by the company marketing the monopod. Cheap plastic screw mounts are a disaster waiting to happen. If you go this route, you MUST not over tighten your camera to the mounting bolt. The biggest complaint coming from reviewers who've purchased monopods for under $50 is the breakage of the plastic anchor that holds the mounting screw that screws into the bottom of your camera. Heavier, thicker monopods will be sturdier and hold more weight. Monopods with more sections will compact down to a shorter length. 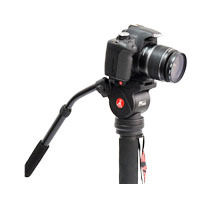 Monopods that have a head with a long handle are 10 times better for shooting video. Monopods with long handles and feet have serious advantages for video shooters. The video on monopods below shows how you can create professional looking movement in your videos by using a few simple tricks and a monopod. Maximum height is the most important specification to pay attention to. If you have to hunch over to view your composition when shooting stills or video, you won't be satisfied with you monopod and likely won't use it much, or worse yet, your photography will suffer. Whether you can go with a simple plastic mounting collar or a more sophisticated head that tilts is the second most important feature to determine. why bother with a monopod anyway? Monopods save space and time. Tripods are good about 90% of the time, but there are situations where you can't extend three legs outward. You may be in a crowd photographing an event or out in the woods photographing quickly moving wildlife. The "footprint" of a tripod gets big rapidly as you extend the legs downward. You get what you pay for with many things and it's true for the best monopod for under 50 dollars too. Plastic parts are lighter and cheaper, but not as durable. That doesn't mean you can't save money, particularly if you aren't a heavy duty user. Use common sense and evaluate your real wants and needs and you'll make out just fine. Shoot more photos. Watch less TV.